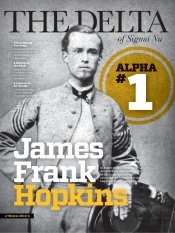 The Delta - Latest News - Fraternity Launches 150th Anniversary Membership Directory - Sigma Nu Fraternity, Inc. In 2019, Sigma Nu Fraternity will celebrate its 150th Anniversary. To help commemorate this milestone event and to further foster lifelong fraternal friendships, the Fraternity will publish its Sesquicentennial Membership Directory in 2018. To successfully complete this project, Sigma Nu Fraternity has partnered with Publishing Concepts, Inc. (PCI). “PCI is the industry leader in the publication of alumni directories. Their reputation is built upon their commitment to data accuracy and security. They are our trusted partner for this exciting anniversary project. One of Sigma Nu’s highest priorities is to help alumni remain engaged with each other and the Fraternity. This project will significantly improve our ability to do so,” said Justin Wenger, Director of Member Engagement. Over the next few months, Sigma Nu alumni will be contacted by PCI to verify membership and contact information, to ensure the directory is as accurate as possible. Alumni will also be able to confirm what information they want included in the directory. 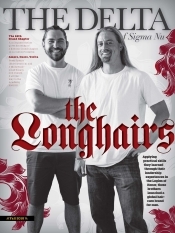 The directory will then be compiled by PCI and available for purchase exclusively by Sigma Nu brothers. “Sigma Nu is for life. We hope every alumnus will participate in this singular, historic project. It’s a great opportunity for all brothers to join in the celebration of our 150th Anniversary,” said Wenger. For additional information about the 150th Anniversary Membership Directory, please go to www.sigmanu.org/150directory.